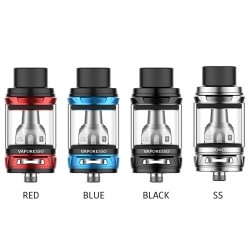 SMOK Spirals Tank Green Black is designed for flavor-enhanced output, the SMOK Spirals Flavour Tank utilizes the enlarged Spirals Coil Structure. 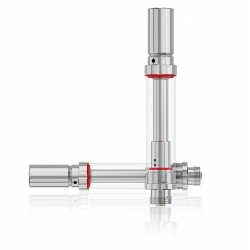 Measuring 22mm in diameter, the Spirals Tank maintains a short stature while featuring a 2 ml juice capacity. By buying this product you can collect up to 58 loyalty points. Your cart will total 58 loyalty points that can be converted into a voucher of $1.16. Creatively designed for flavor-enhanced output, the SMOK Spirals Flavour Tank utilizes the enlarged Spirals Coil Structure. 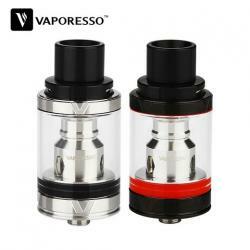 Measuring 22mm in diameter, the Spirals Tank maintains a short stature while featuring a 2 ml juice capacity. Refillable via threaded top-fill system that exposes two large fill ports. Quad adjustable bottom air slots provide ample airflow, while catering to a flavor-focused structure with an elongated drip tip. The Spirals Coil Structure is exceptionally large-sized, utilizing imported Japanese cotton with 8 wicking ports for rapid saturation. The atomizer induces a taste whirlwind experience, with the included 0.6ohm Spirals Coil featuring a wattage range of 18 - 35W . Also includes a 0.3ohm Spirals Coil with wattage range at 20 - 45w, along with a single-coil RBA Coil Head for optional rebuildable capability.